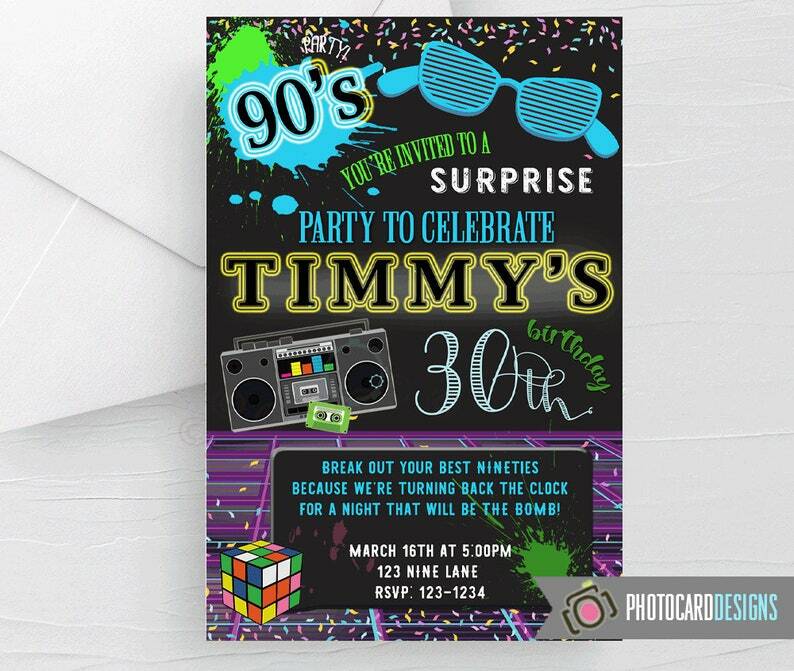 Looking for an 90's Themed Birthday Invitation?! Then you have found your invitation!! Age can be changed. You will be provided with a high-resolution jpg to print at home or at your local print shop. This listing is for the Invitation Digital file ONLY.